A superior quality ammunition for general protection use and built to give an added value for those that want to shoot at the range with the same ammunition they carry for personal protection. 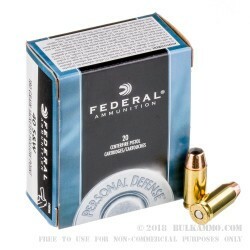 This Federal premium ammunition represents a great value for those types of shooters and has inherent production line consistency that bears out in the final product. It is particularly well-behaved ammunition that does not frequently have hiccups or failures to fire, etc. The quality control at the facilities that produce this line is exceptional. 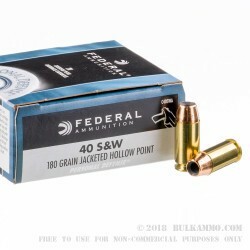 For the money, you’d be hard-pressed to find a more uniformly performing round than this .40 S&W 180 grain load in the Federal premium Personal Defense Line. 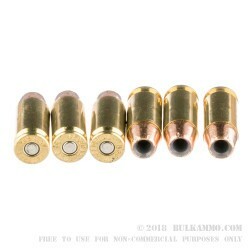 Pushing 100 fps and about 400 ft. lbs of energy at the muzzle this round has performed well in ballistic gelatin testing and offers an excellent value for a premium hollow point projectile and given the high quality of the other components. Suitable for use in any .40S&W, this 180 grain round is a combination of bigger projectile and moderate penetration, with uniform expansion, in a base load that is known for reliability in feeding and extraction. 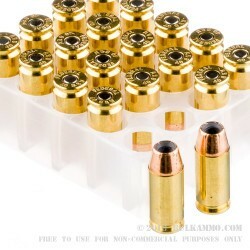 The brass is Boxer primed are suitable for reloading.